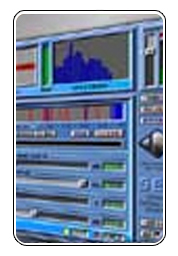 Audio restoration or enhancement within the forensic arena is a generalised term for the process of removing noise and interference created during the recording of covert and non-covert recordings. 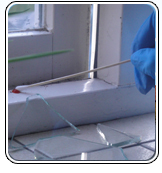 Forensic recordings by their very nature are very rarely ' studio' quality type recordings and will generally suffer from noise and interference created by the surroundings in which they are created. 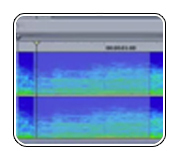 Forensic recordings will record speech, mobile telephone noise, traffic noise, music and radio generally accompanied by some form of background interference.State of the art forensic audio enhancement techniques can reduce and in some cases, eliminate some types of interference. Enhancement is usually performed by digitizing an audio source from its original media such as CD & DVD recordings or magnetic tape. 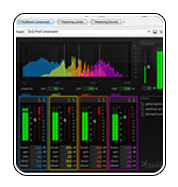 Once in the digital realm, recordings can be 'cleaned up' (enhanced) using dedicated, standalone digital processing. Before the application of any enhancement techniques, skilful listening and analysis is required to understand and identify the problems and only then apply the appropriate techniques that will help to enhance the sound or speech. Experience has shown that applying restoration and enhancement processes without the necessary skills can result in very poor results. Infra Tech Forensics provides enhancement and analysis of all types and formats of recordings using the latest software allied with over 40 years of experience in forensic audio and video.